I had a Poppy Roll from Polonia in Longwood, FL. Polonia is the only place around that I know of that makes these, and they are really good. If you've never tried a poppy roll for dessert, you don't know what you're missing! A $5 off coupon brought me into Limoncellos Waterfront Restorante in the Sanford Marina along Lake Monroe. Garlic bread was ordered as a appetizer. Rather than the normal Italian restaurant garlic bread, Limoncellos gave slices of bread with a bowl of roasted garlic in oil. It was unexpected, but was a nice surprise. I really like roasted garlic. I was debating about whether to get gnocchi or a calzone, and finally ended up ordering the Calzone Primavera. The calzone was filled with red peppers, onions, eggplant, broccoli, ricotta, and mozzarella. I enjoyed it. If you eat outside on the restaurant's patio, you get this wonderful view of the St. Johns River. I liked Limoncellos. The view was great, the food was better than many other local Italian restaurants, and the prices weren't bad either. Bagel Tree in Boca Raton, FL seems to be the restaurant of choice for the retirees living in Century Village to have breakfast. I've eaten here in the past when visiting a Century Village resident, so this particular visit was no different. I ordered a sesame bagel with Nova cream cheese and homefries. Now, I don't want to sound like I'm complaining about food like the average senior citizen, but my homefries were served on the plate with someone's omelet. Their omelet was supposed to come with grits, and they weren't served at all until the waiter finally returned and was reminded. Once the homefries were transferred over to my plate, I found them to be really tasty. Moving on to the bagel, I asked for it to be toasted, and it was kind of burned around the edges. The Nova cream cheese seemed really stingy with the actual nova. There wasn't enough smoked salmon in there to justify the extra charge in my opinion. So in the end, I liked the homefries. Will I return? On the next visit to a Century Village resident, most definitely! I visited Ben's Deli in Boca Raton, FL and ate with all of the old Jewish retirees. 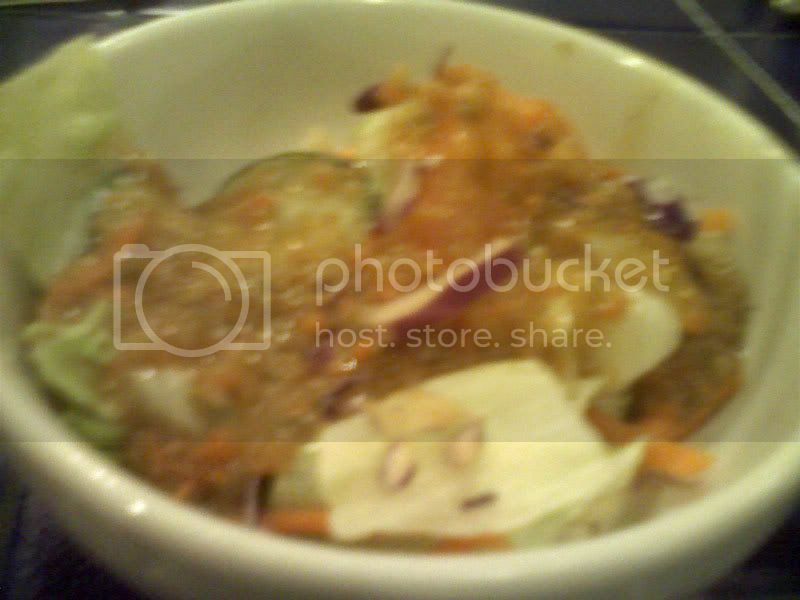 A bowl of pickles and coleslaw were automatically brought out as an appetizer. I normally prefer dill or garlic pickles, but those half sour pickles (light green) were really good. No complaints about the coleslaw either. I ordered a turkey sandwich and a spinach knish. The knish was good, filled with spinach and potato in a thin flaky crust. It was nice and moist so it didn't need any mustard. I didn't find the turkey sandwich very impressive. It was overpriced ($9) and came with nothing. It was just a whole lot of turkey between two slices of rye bread. The bread wasn't that great either. I ended up putting some mustard and some of the coleslaw on the sandwich to make it a bit less boring. Overall, I wasn't too impressed with Ben's Deli. I could think of several other places that have better sandwiches for half the price. Perhaps Ben's justifies the high price by serving Kosher meat, but I don't follow any dietary restrictions based on what's written in an ancient text, so whether it's Kosher or not doesn't matter to me. The sandwich was pretty typical of what these New York Style Kosher Delis serve, so I guess I can't complain too much. Compared to other Kosher Delis though, I've been to much better. 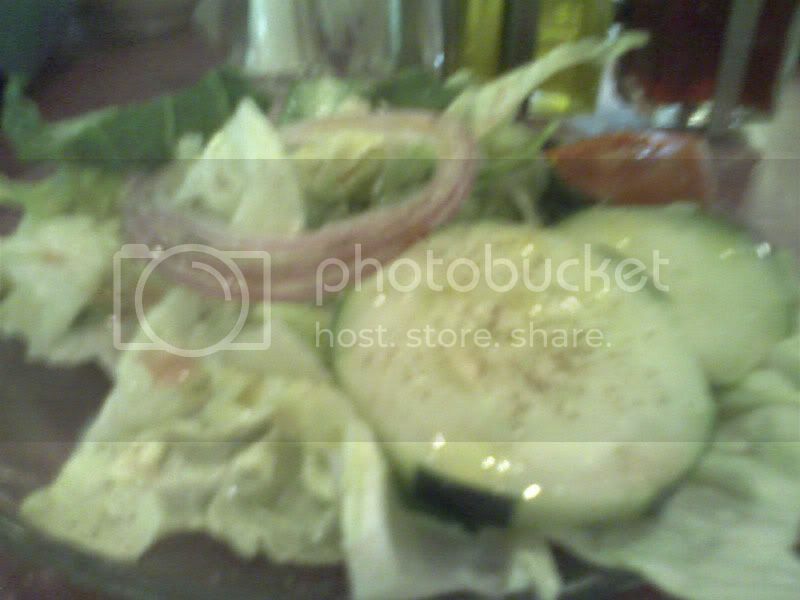 I ate at Peppino's Ristorante Italiano in Oviedo, FL. One of the first things I noticed upon entering the restaurant was that I seemed to be the youngest one eating by forty years. That didn't last long when about 100 people entered the restaurant for an Oviedo High School Basketball team banquet. From that point on, the restaurant got very loud. Luckily, our order was in before the banquet, so the food didn't take too long. 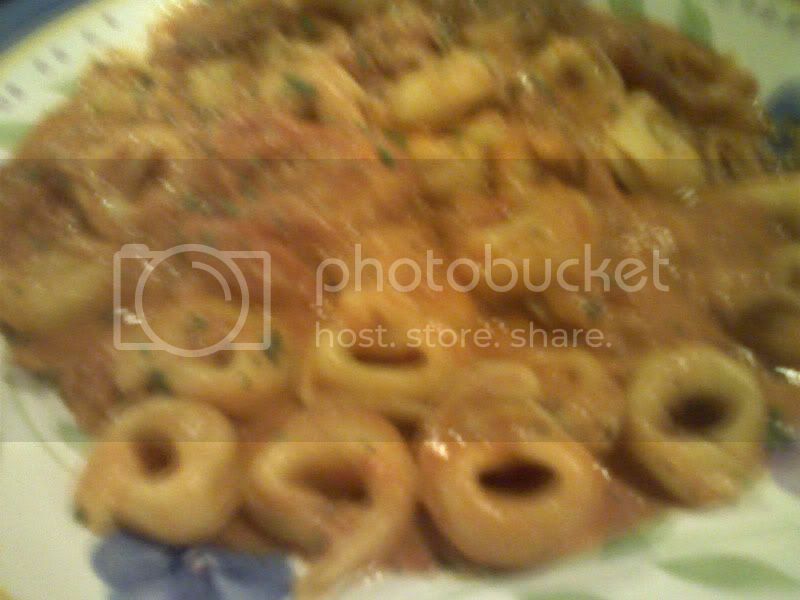 For the main course, I ordered a tortellini dish served in a pink sauce with ham and mushrooms. I asked for no mushrooms, but I really didn't see any ham on the plate either. Besides from that, it was pretty good. The sauce was definitely homemade and although it wasn't as creamy as most other pink sauces I've come across, it was still very tasty. The sauce was definitely much more interesting that what I've had at other local Italian restaurants. The other person I was eating with did complain that their portion was tiny for what Peppino's charged, but my tortellini was enough. 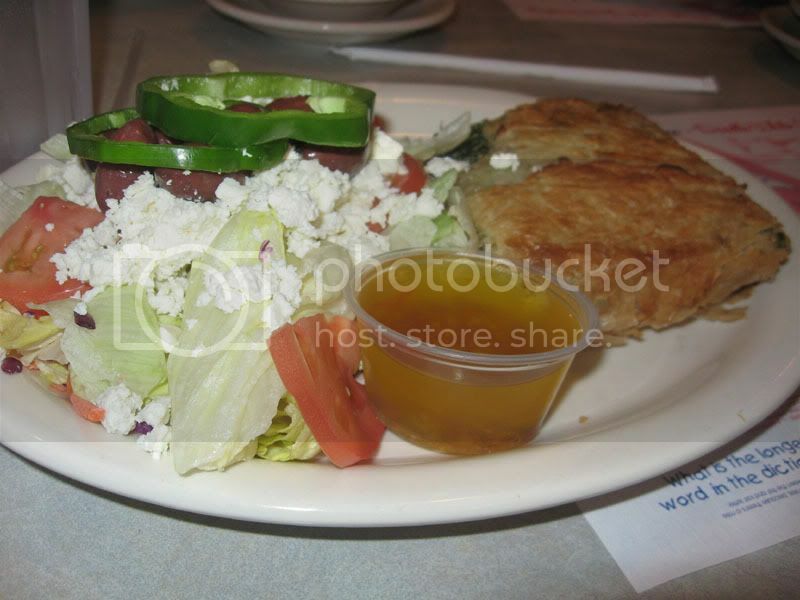 I had a Greek Wrap from Toojay's in Altamonte Springs, FL. 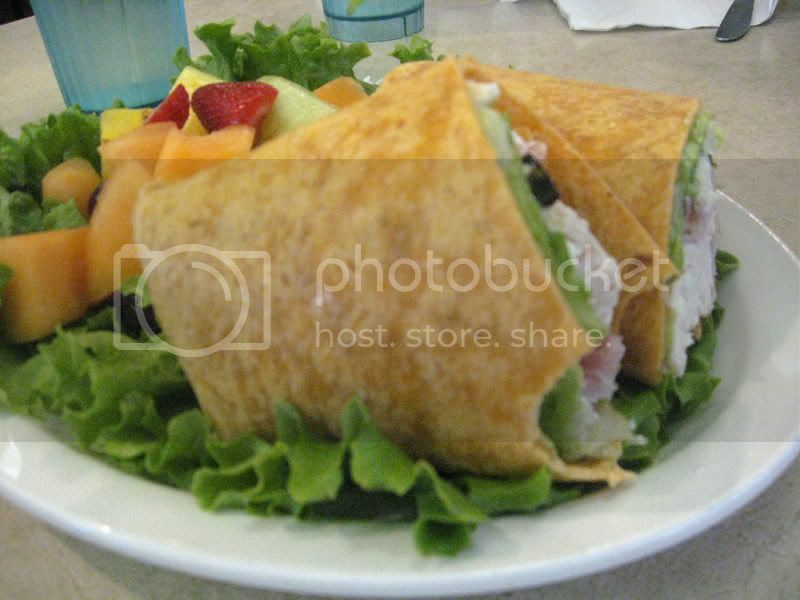 The wrap consisted of turkey, ham, feta, lettuce, olives, peppercinis, and Italian dressing, all wrapped in a tortilla. Fruit salad was served on the side. I enjoyed it. Also on this visit, someone that I was eating with ordered a potato knish. This reminded me of something that I've noticed in my previous visits to several Toojay's locations. If someone at the table orders a knish, it seems that about 90% of the time it will not be served and the waiter will have to be reminded about it after the rest of the food is delivered. It's very strange that over multiple visits to multiple Toojay's, they almost consistently forget to bring out a knish when everything else about the order was correct. 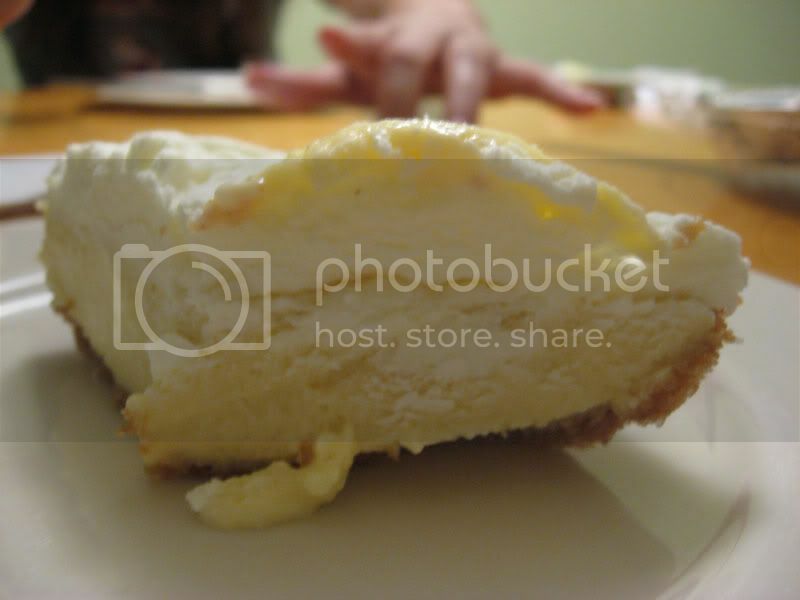 Enjoy the many types of pies that I've taken photos of in my travels, like Key Lime Pies from a fish market in Lake Mary, FL and Sleuths Mystery Dinner Show in Orlando, FL. 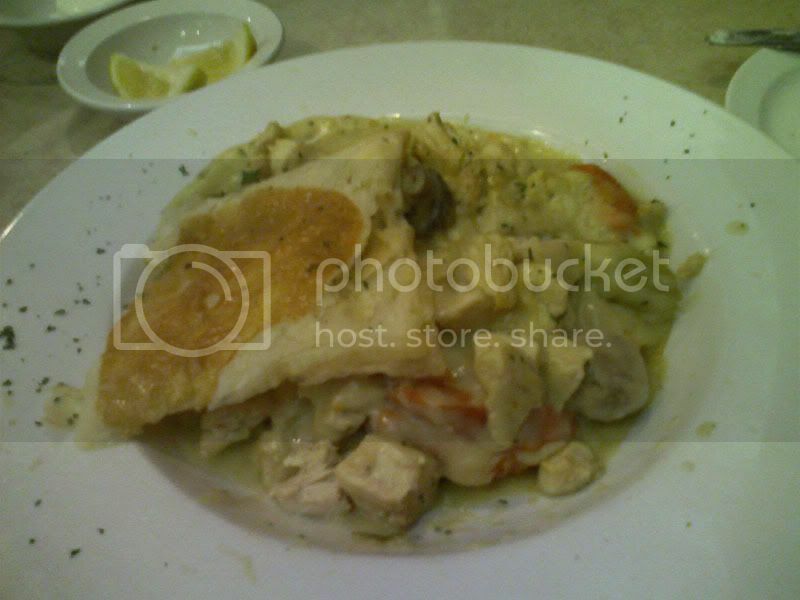 Then there is Chicken Pot Pie. The first is from Toojay's in Altamonte Springs, FL and the second is from Ruby Tuesdays in Florence, SC. 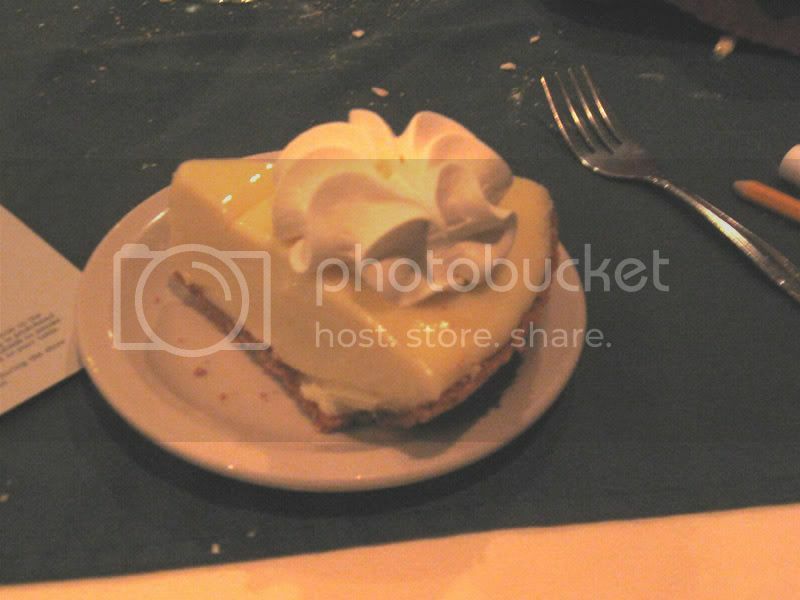 Then there is this Spinach Pie from the Capital Diner in Harrisburg, PA.
And to end out this series of pictures of pie for Pi Day, who could forget everyone's favorite type. 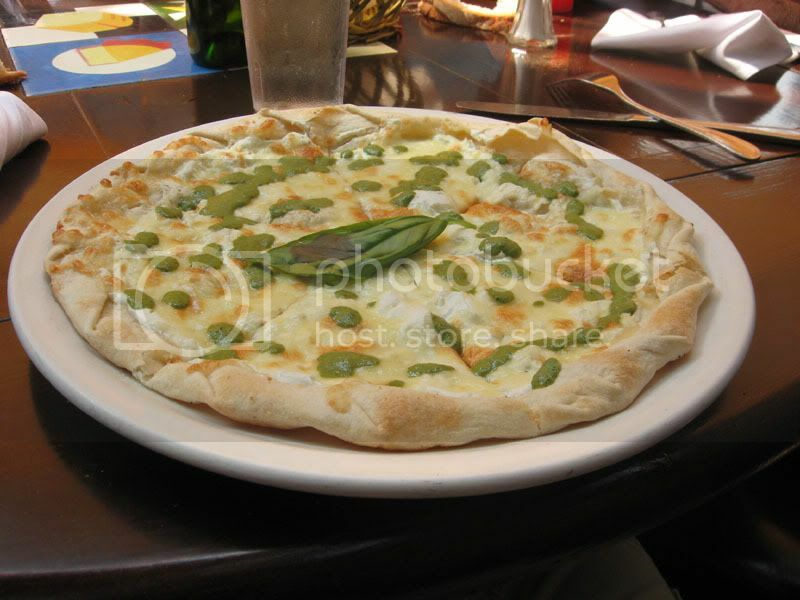 The Pizza Pie, such as this pesto pizza from Il Porto in NY and this vegetable pizza from Louies at Universal. 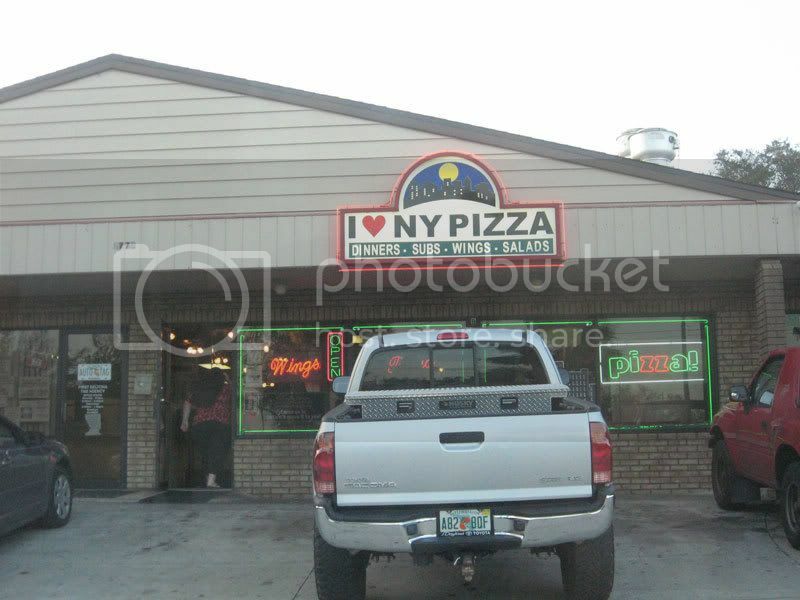 I took out a pizza from I Love New York Pizza located in Deltona, FL. Deltona seems to be made up of a maze of curvy, house lined roads without much of anything else, so finding good food here isn't always easy. Finding pizza that is actually good was a bit more surprising. 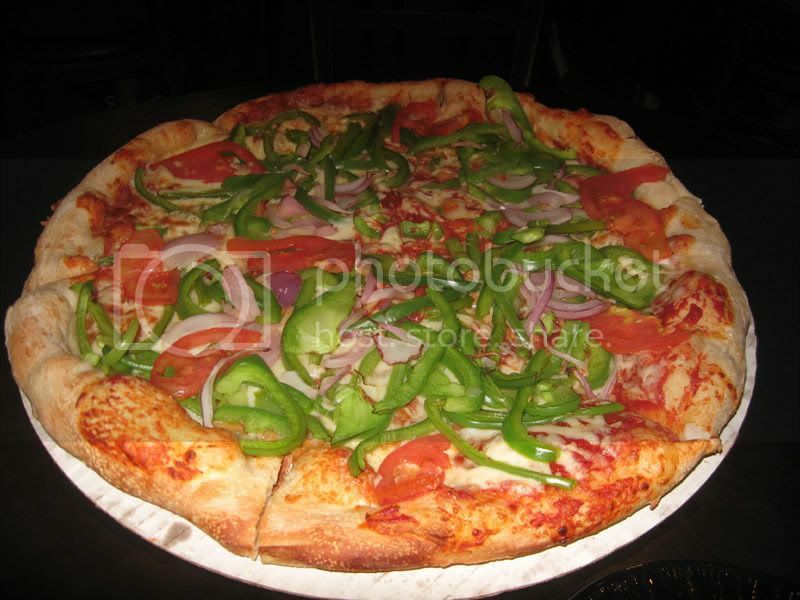 While most pizza in Florida claims to be New York Style, it is rare to find pizza that is actually similar to the stuff you get in New York. I've found the Floridian New York style tends to be thicker with more cheese and sauce than the real stuff. Some restaurants even have gimmicks like importing tap water from Manhattan to properly recreate the pizza dough, but these restaurant's pizzas seem even farther than the real thing. I Love New York Pizza was a surprise, because it was just about on par with the thickness, consistency, sauce to cheese ratio, and just about everything else with northern pizzas. It wasn't perfect though. I found the pizza to be undercooked. 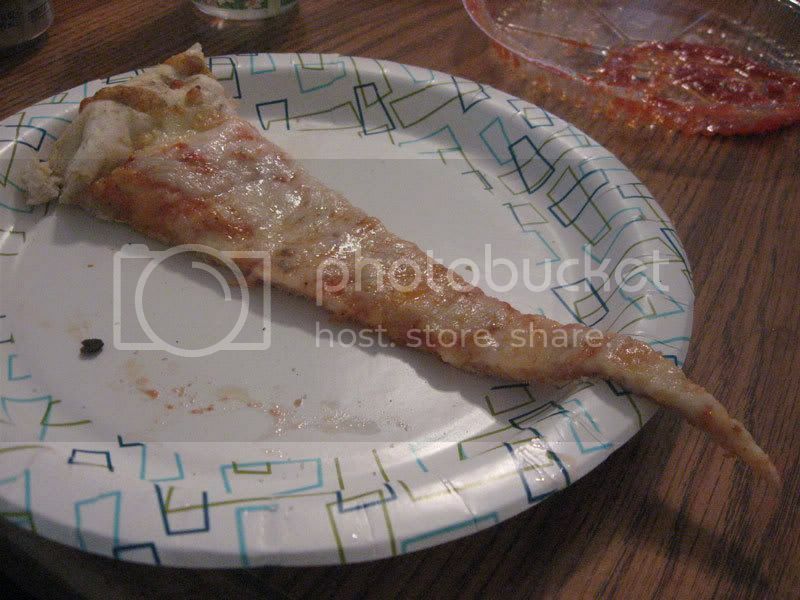 This caused the slice to droop down as it was eaten and the crust was way too soft and doughy. Also, this is a minor thing, but it bothers me when restaurants do this to their pizzas. The pizza wasn't sliced evenly. 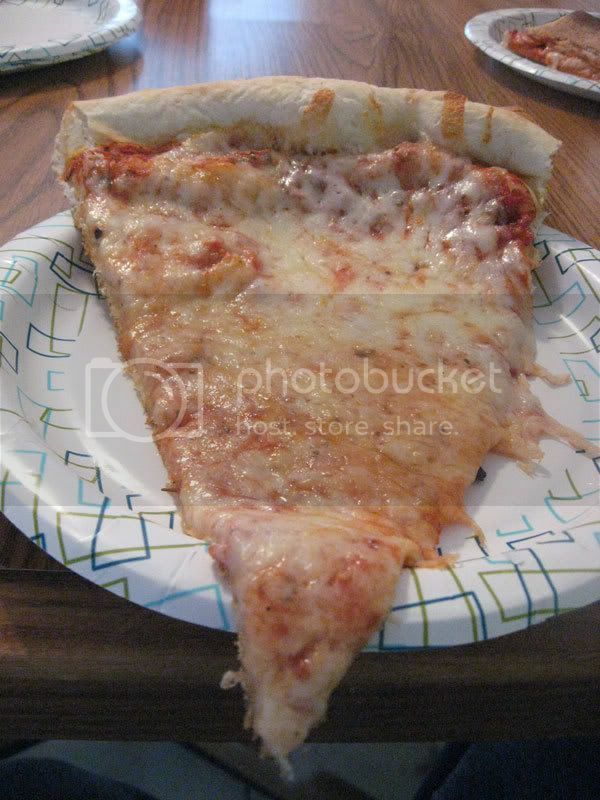 Some slices were huge, while others had a crust length of about two inches. 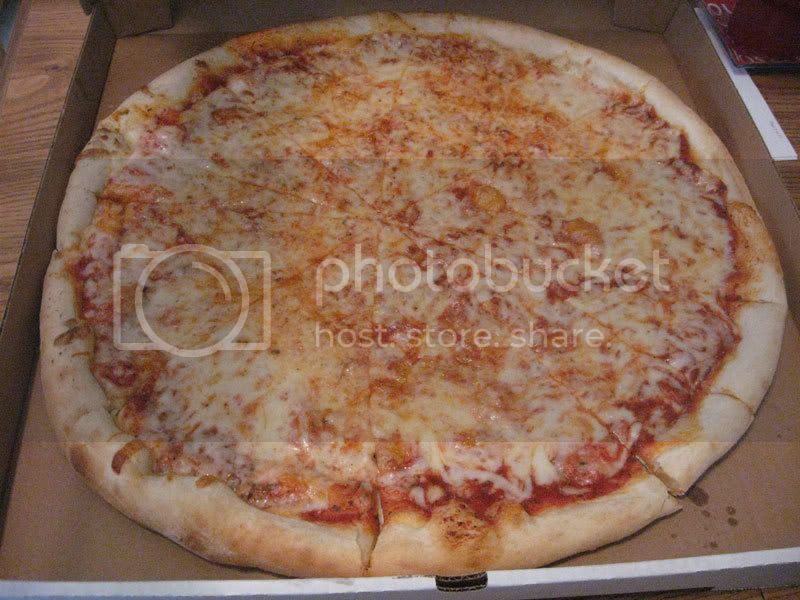 I Love New York Pizza did have a really good pie, and if they cooked it a bit longer to eliminate the doughyness, it would be even better! 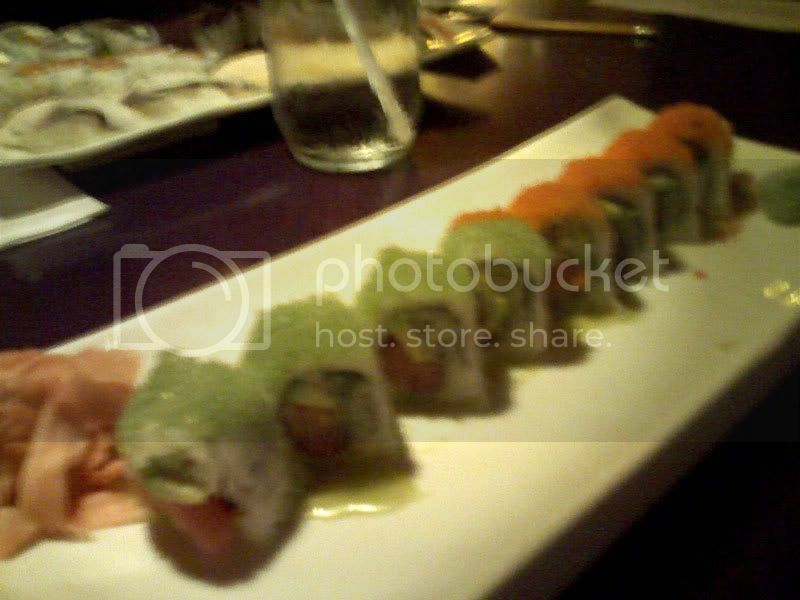 I had dinner at Bayridge Sushi in Longwood, FL. I've never been here at dinner time, and it was even more packed than the place gets for lunch. It seemed like all you could eat sushi was the thing to get, with the sushi being made at a lightning fast speed. There was no question here whether the fish was out too long. The unlimited sushi cost a bit more than I wanted to spend at $20, so I went with some individual rolls and miso soup. I ordered a Wasibi Roll first. It was filled with half tuna and half salmon, along with cucumber and avocado. It was topped with orange and green fish eggs. 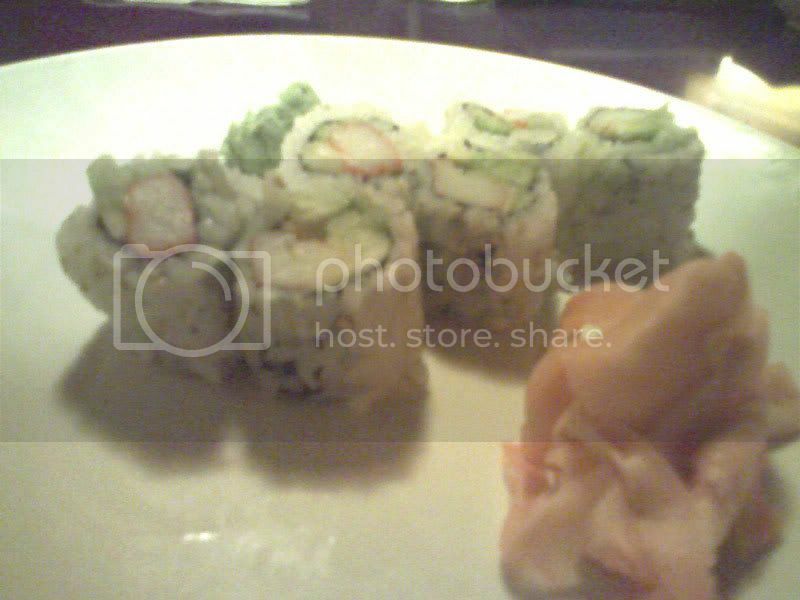 I liked it, although the salmon kept on sliding out of the roll. It was a little spicy, but not too bad. While everyone else ordered their second rounds of all you can eat sushi, I ordered a California Roll so I'd have something to do. It tasted like a California Roll should. 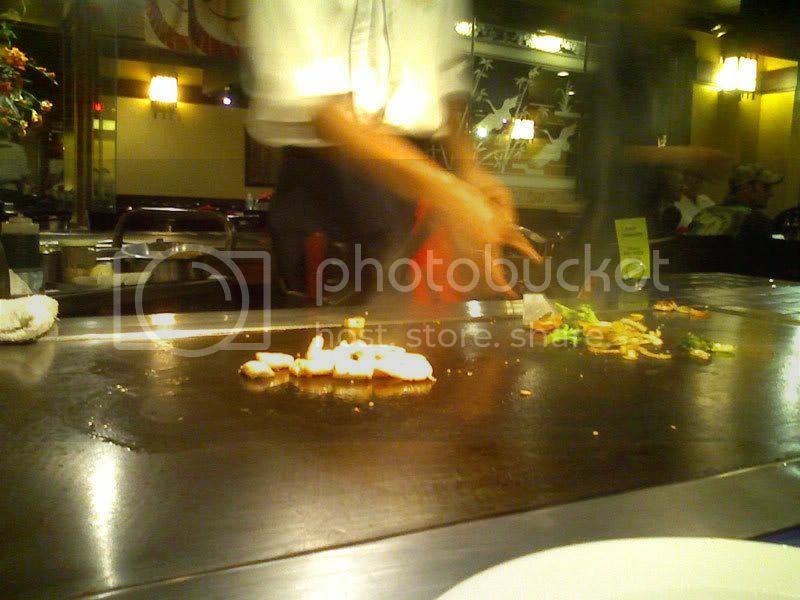 I ate at the Kobe Japanese Steakhouse in Longwood, FL. 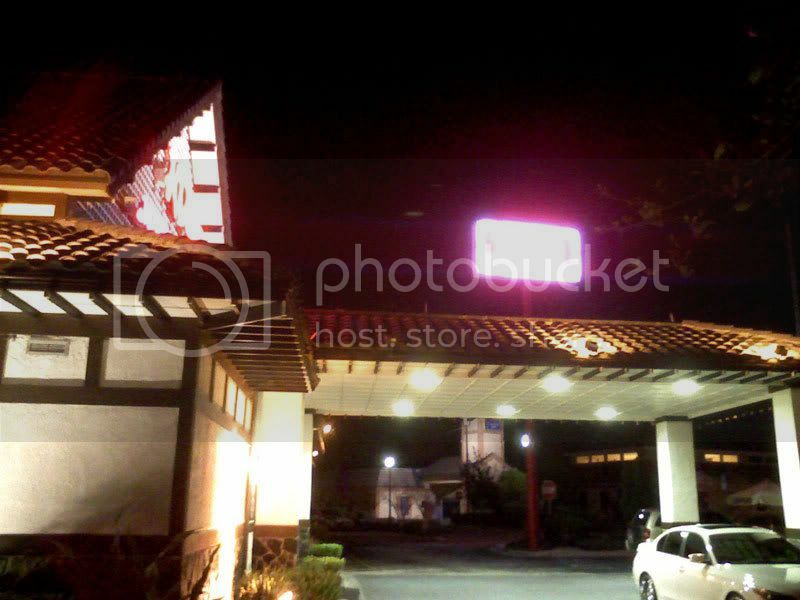 They offered a deal where two people eat for for $25.00 after 9:00 pm, and that was my reason for visiting the restaurant. For this price of $12.50 each, each of the two people had to agree to order the same menu item. We ordered the chicken and shrimp. 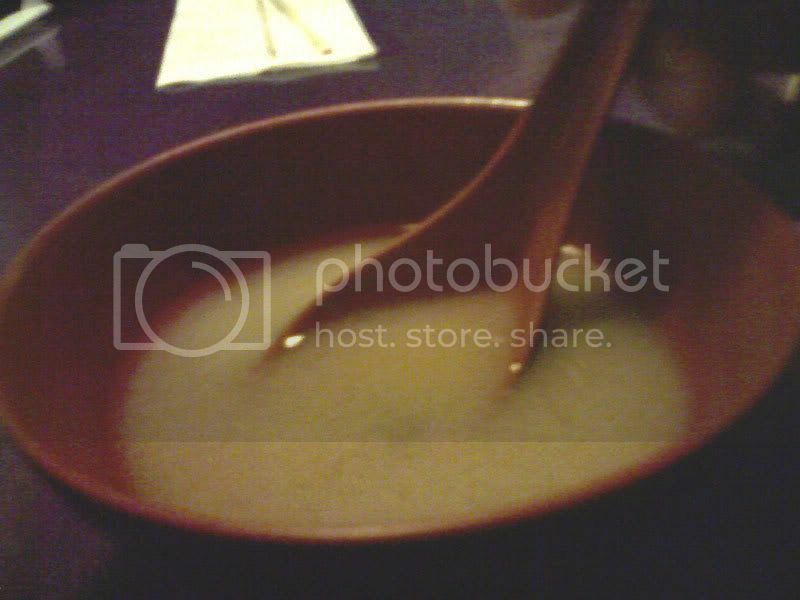 While waiting for the meal to be cooked on the hibachi grill, soup and salad was served. The chef finally came out and started cooking. There weren't very many customers at 9:30 on a Thursday night, so we had the table to ourselves. 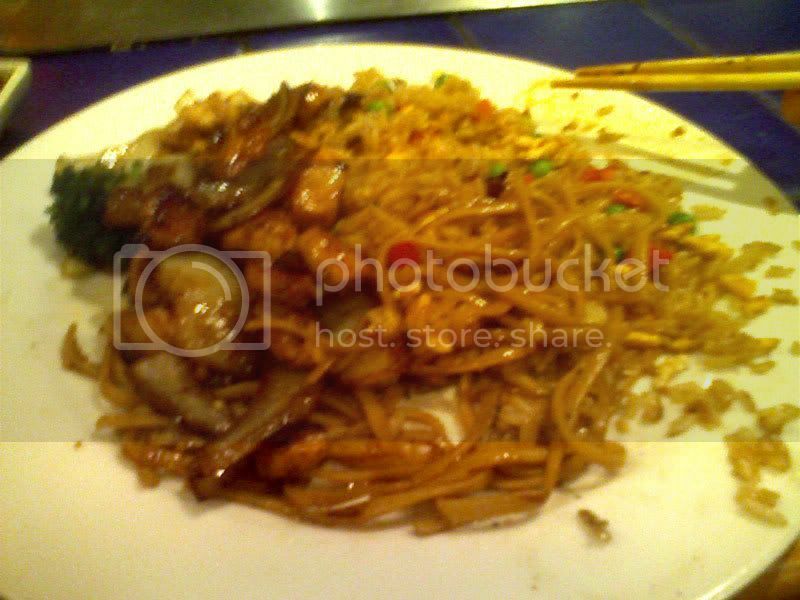 The food was plated as it was cooked, and included stir fried vegetables, noodles, shrimp, rice, and chicken. In the end, the dinner for two deal was kind of disappointing. It seemed Kobe just took one portion of food and split it up into two half portions. There was still lots of food, but there was definitely a quantity difference between this meal and a single meal. In a shrimp and chicken dinner, they served me only two shrimp. And while all of the other food tasted good, I do have issues with these shrimp. The shrimp that Kobe serves aren't deveined. I personally don't enjoy eating shrimp guts, and for the price Kobe charges, they should definitely serve cleaned shrimp. So in the end, this dinner for two thing really wasn't much of a special. Two people going to Kobe for their early birds seems like it would provide a whole lot more food for only a few dollars more. I had this buy one, get one free coupon for T.G.I. Friday's, and used it at the Friday's off of Kirkman Road in Orlando, located across the street from the main entrance to Universal. I ordered the Spicy Southern Shrimp, which was basically shrimp and grits. 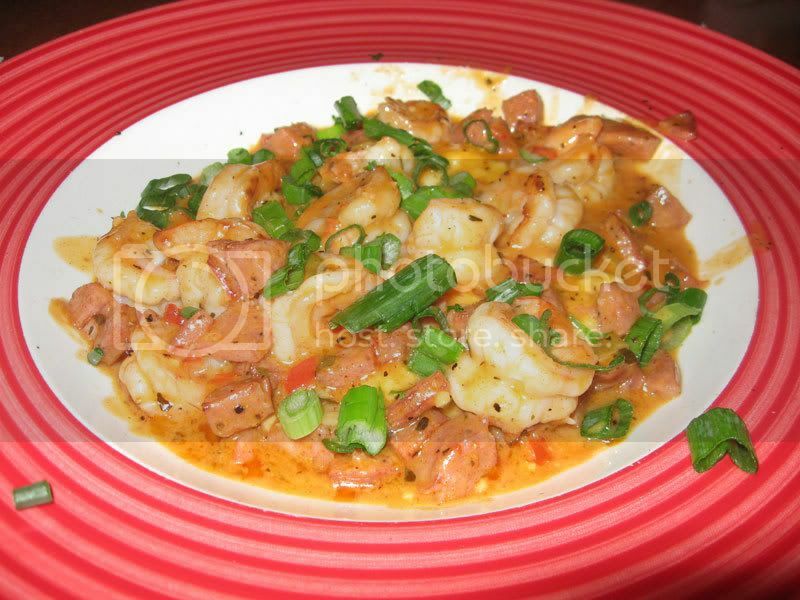 It consisted of shrimp, andouille sausage, and scallions, all served over cheese grits. 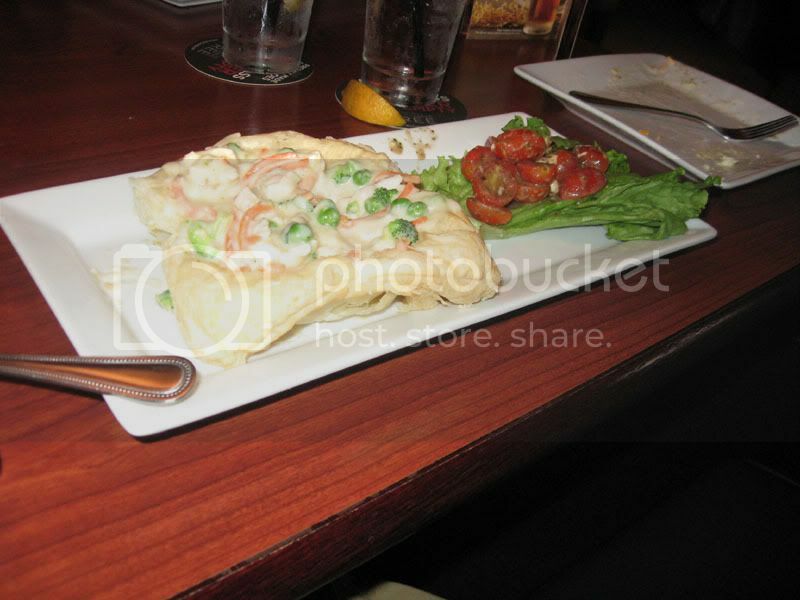 The food took a very long time to be served, and I was a bit disappointed when my shrimp and grits finally came. There were hardly any grits. There was probably a teaspoon sized scoop of grits in the middle of the plate, hidden under the shrimp and sausage. There was actually an exponentially larger amount of sauce on the plate than there was grits. Grits are cheap, so I don't see why putting enough on a plate so they can actually be eaten with shrimp would be that hard for Fridays. 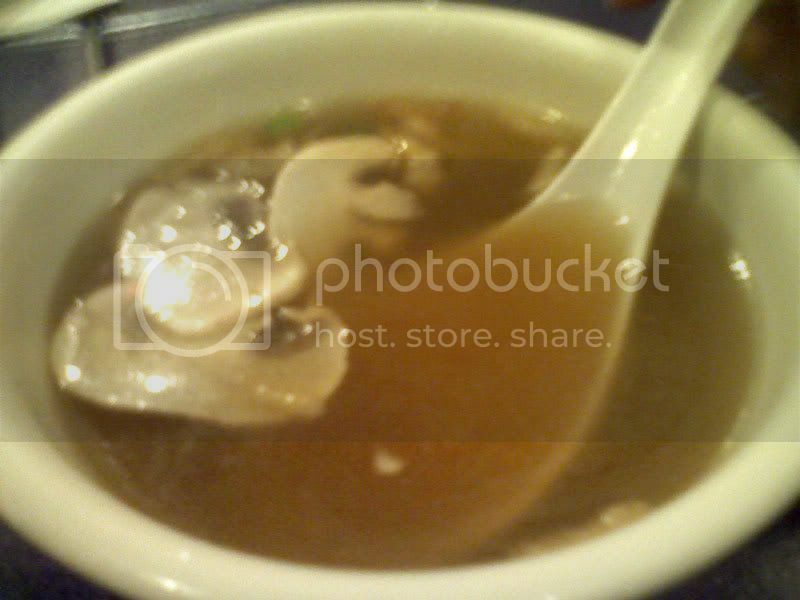 The picture on the menu looked very different that what I received. You could actually see the grits on the menu. Also disappointing, the Gourmet Mac and Five Cheese that some someone else ordered on the healthy menu, which cost less than $6.00, was served on the same plate and had a much larger portion than my $14.00 Shrimp and Grits. I don't quite understand how a large portion of macaroni and cheese with chicken and bacon made it on to the healthy menu in the first place. It seems like there is some sort of issue every time I eat at this Friday's location. It's always extremely slow, and there is always some sort of food issue. I had strawberry ice cream with actual strawberries mixed in as my topping. I do have a few issues with Cold Stone's ice cream and their whole system of mixing in toppings, but I am going to ignore them for now because this ice cream was FREE! 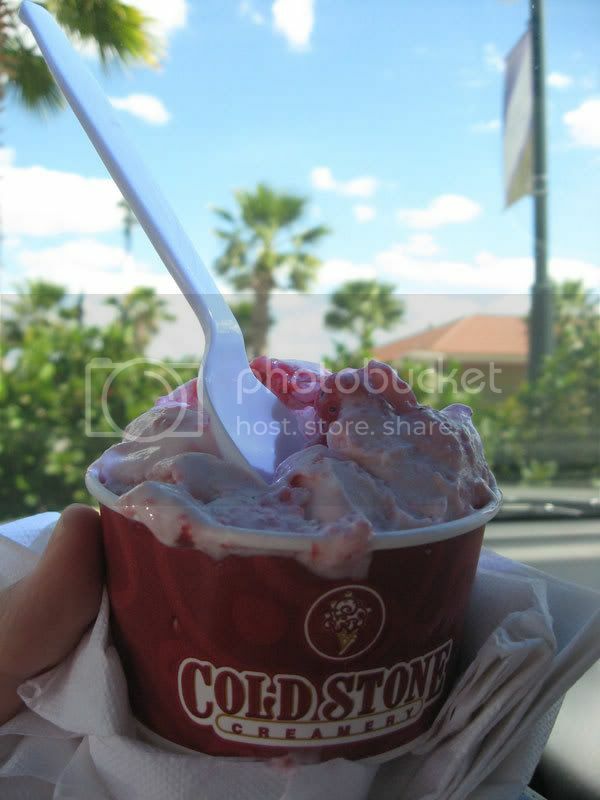 It seems the same thing is now happening with the Cold Stone in Lake Mary. They closed up a while ago, and now has opening soon signs in their windows. 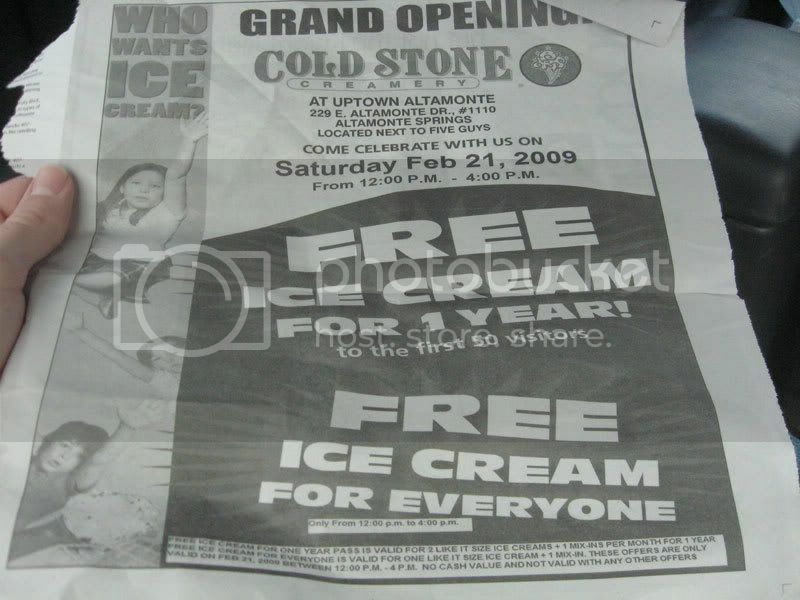 I wonder if they will give out free ice cream as well? I ate a Cuban sandwich from Adita's Cuban Bakery in UCF. This particular location seemed to be connected with a Chick-Fil-A, but I think there may be another Adita's Cuban Bakery just outside of the college on University Blvd. 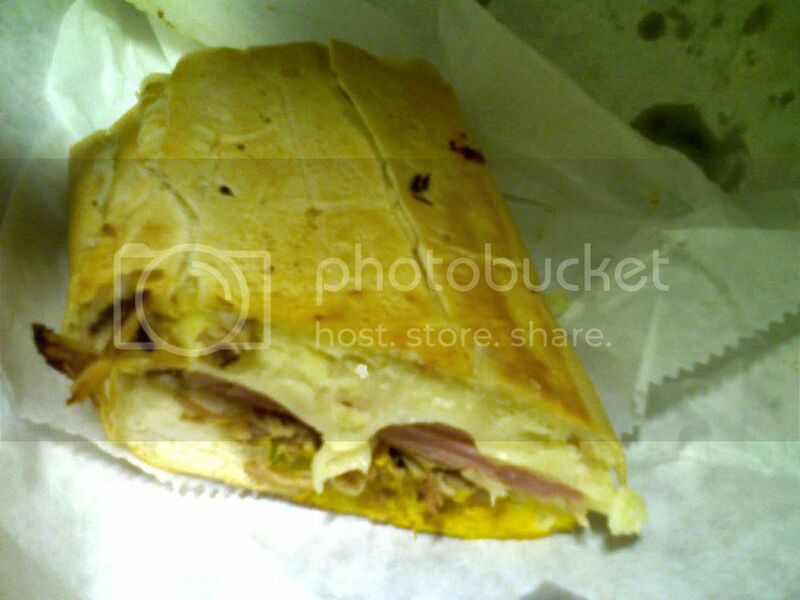 My first and only time eating a Cuban sandwich down in Key Biscayne wasn't a good experience, so I was hesitant to try another Cuban Sandwich. I'm glad I did though, because this sandwich was really tasty. They used really tender pulled pork, ham, pickles, mustard, and cheese, all on a roll. The whole thing was grilled on a press, and was really good. I think I'll need to go find their other location and see if their sandwiches are just as good there.